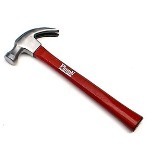 BALL PEEN HAMMER Forged hammer with machined face, peen & bevel Commercial industrial ANSI spec. 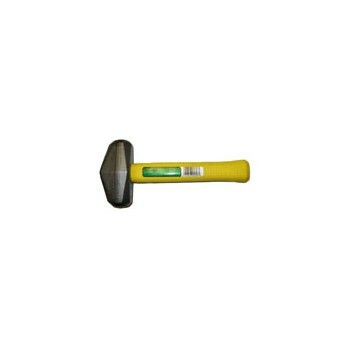 head Hickory handle 04412 12Oz BALL PEEN HAMMER SIZE:12 Oz. LENGTH:13"
BALL PEEN HAMMER Forged hammer with machined face, peen & bevel Commercial industrial ANSI spec. 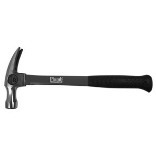 head Hickory handle 04416 16Oz BALL PEEN HAMMER SIZE:16 Oz. LENGTH:14"
BALL PEEN HAMMER Forged hammer with machined face, peen & bevel Commercial industrial ANSI spec. 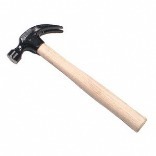 head Hickory handle 04420 20Oz BALL PEEN HAMMER SIZE:20 Oz. 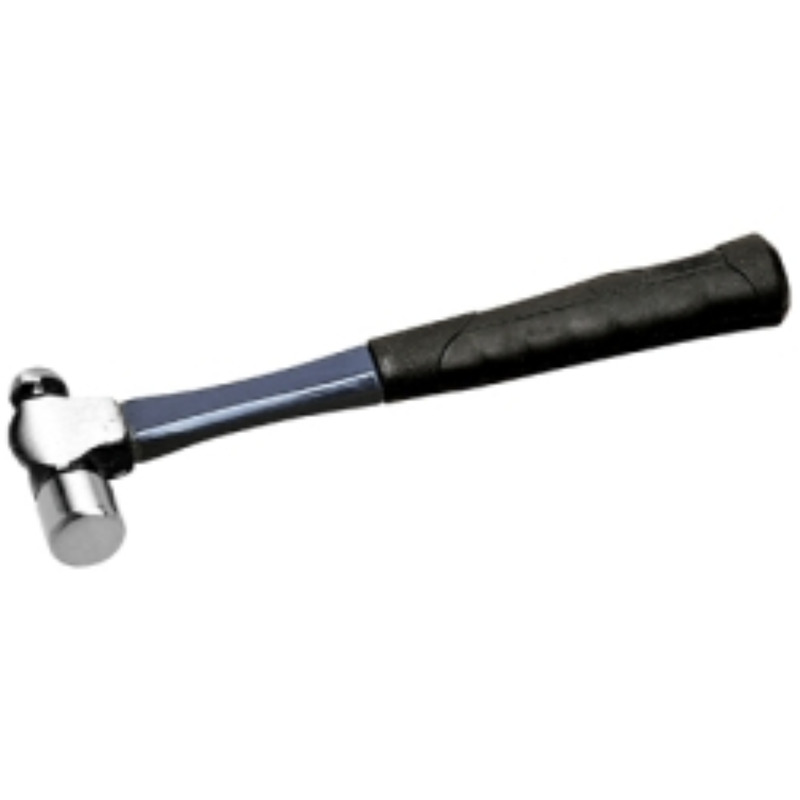 LENGTH:14-1/2"
BALL PEEN HAMMER Forged hammer with machined face, peen & bevel Commercial industrial ANSI spec. 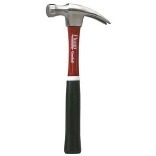 head Hickory handle 04424 24Oz BALL PEEN HAMMER SIZE:24 Oz. 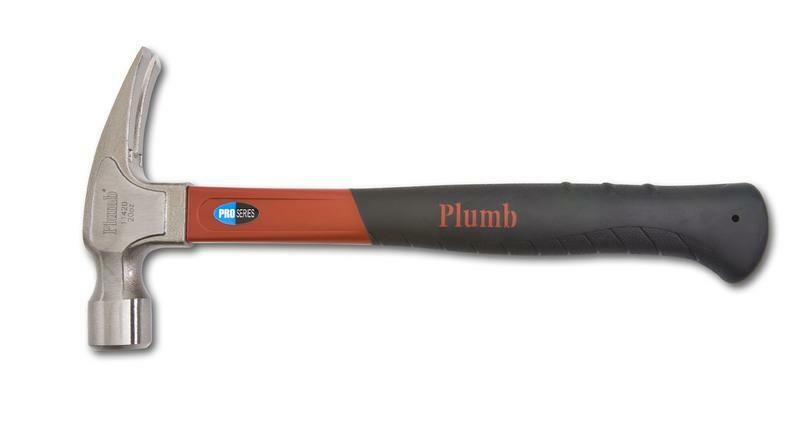 LENGTH:16"
BALL PEEN HAMMER Forged hammer with machined face, peen & bevel Commercial industrial ANSI spec. head Hickory handle 04432 32Oz BALL PEEN HAMMER SIZE:32 Oz. LENGTH:16"
DRILLING HAMMER Polished face, fiberglass handle Allows for heavy blows with limited swing Great for restricted work areas 05803 3# DRILLING HAMMER SIZE:3 Lb. 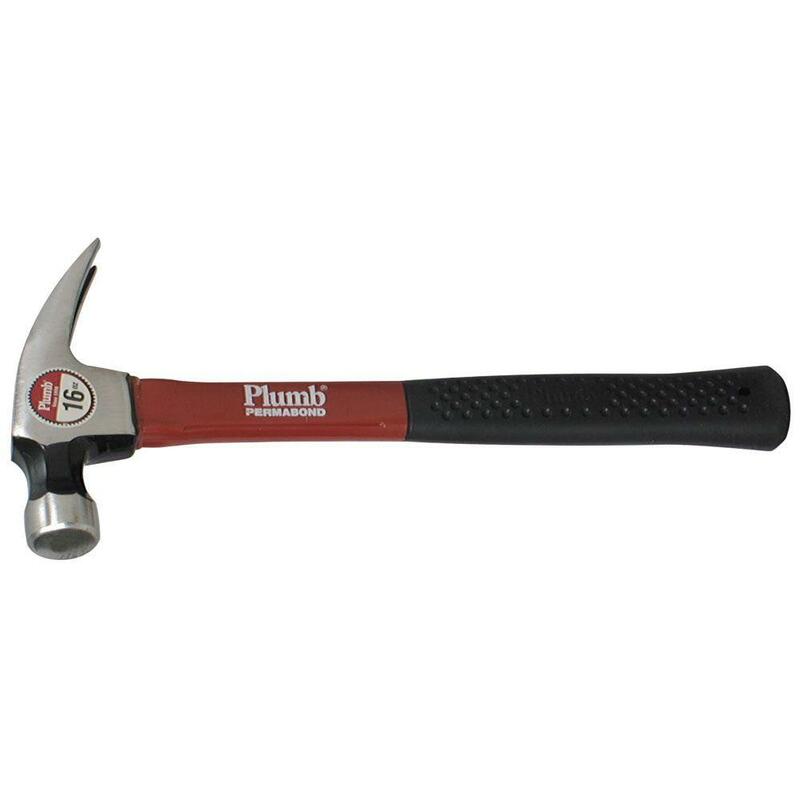 LENGTH:10"
ENGINEERS HAMMER Polished face, fiberglass handle Double-faced hammer aka short handle sledge For use in close quarters 05821 2# FG ENGINEERS HAMMER SIZE:2 Lb. LENGTH:16"
ENGINEERS HAMMER Polished face, fiberglass handle Double-faced hammer aka short handle sledge For use in close quarters 05823 3# FG ENGINEERS HAMMER SIZE:3 Lb. LENGTH:16"
BLACKSMITH HAMMER Polished face, fiberglass handle Designed for striking wood or metal Shape & bend metal with the cross peen 05826 2# BLACKSMITH HAMMER SIZE:2 Lb. LENGTH:16"
BLACKSMITH HAMMER Polished face, fiberglass handle Designed for striking wood or metal Shape & bend metal with the cross peen 05828 3# BLACKSMITH HAMMER SIZE:3 Lb. 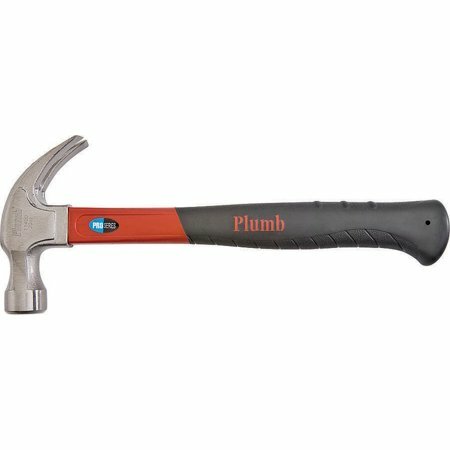 LENGTH:16"
REGULAR CLAW HAMMER Curved claw Black painted head with polished face & bevel Wax finished clear hardwood handle 08007 7Oz PAINTED HAMMER SIZE:8 Oz. LENGTH:12"
BLACKSMITH HAMMER Crafted from special analysis steel Rough black finished head Red hickory handle Permabond, replaceable handle 11524 40Oz BLACKSMITH HAMMER SIZE:2-1/2 Lb. LENGTH:14"
HAND DRILL HAMMER Hickory handle included Used with chisels, punches and nails Also used with star drills Design permits heavy blows with limited swing Eye size is 3/4 x 1" 1196100 2# HAND DRILLNG HAMMER SIZE:2 Lb. 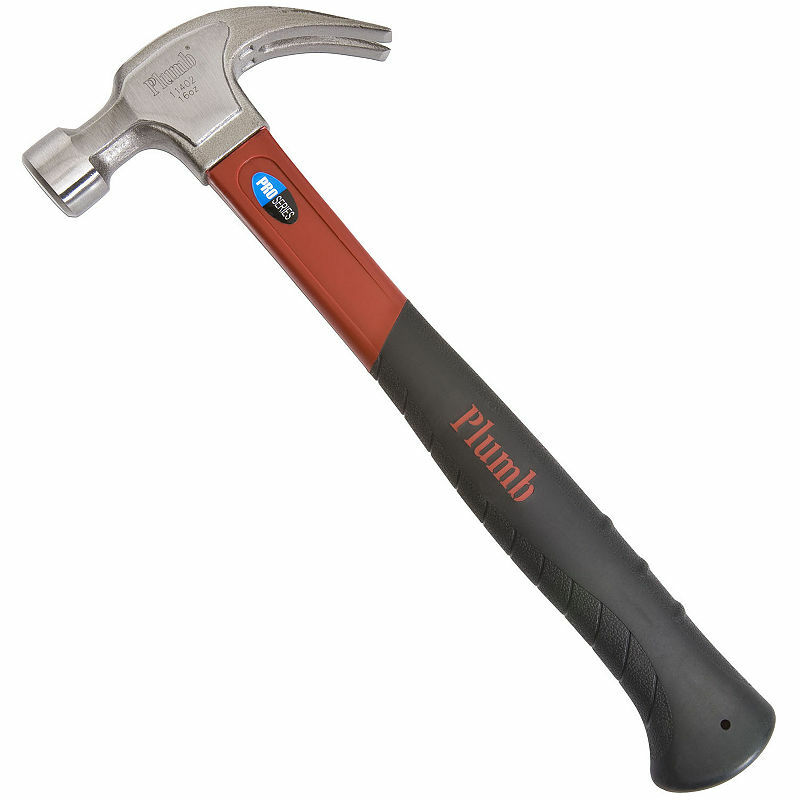 LENGTH:10-1/2"
DOUBLE FACED ENGINEER'S HAMMER Double face Forged steel head Polished face Hickory handle 1196200 2LB DBL FACE HAMMER SIZE:2 Lb. LENGTH:16"
DOUBLE FACED ENGINEER'S HAMMER Double face Forged steel head Polished face Hickory handle 1196300 3LB DBL FACE HAMMER SIZE:3 Lb. LENGTH:16"
3 LB. CROSS PEIN HAMMER Perfect for shaping block, brick or stone 3 lb. 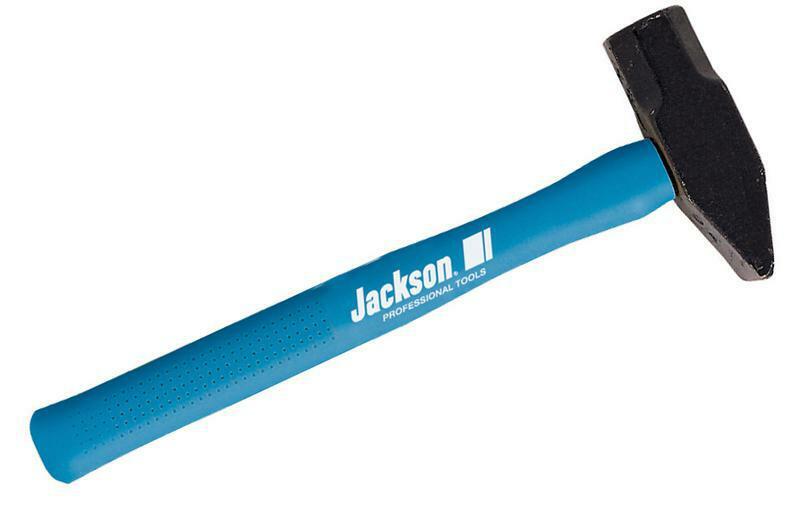 forged steel head w/chamfered edges 15" blue fiberglass handle offers durability - when striking as handle will not split or crack Head has polished finish Limited lifetime warranty 1196600 3LB CROSS PEIN HAMMER SIZE:3 Lb. DOUBLE FACED ENGINEER'S HAMMER Double face Forged steel head Polished face Hickory handle 1196900 4LB DBL FACE HAMMER SIZE:4 Lb. LENGTH:16"